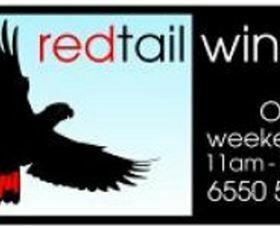 Red Tail Wines are committed to making top quality wines depicting their own regional uniqueness. They believe in locally grown produce and that their wine is all about the fruit. They are an award winning, family owned, vineyard in the Manning Valley on the Mid North Coast of New South Wales, Australia. Merlot, Semillon, Verdelho and Colombard grow in the conglomerate soil of Marlee to produce high standard wines. They are located on Tourist Drive Eight, 15 minutes drive from Wingham, or 45 minutes from Forster. Turn left onto Pinnacle Place, 100 metres north of St Marks historic Church Marlee. Why not take the Tourist Drive Eight to experience the landscape firsthand as it changes from picturesque rolling country side to scenic mountains and valley views. Free wine tasting and groups and small coaches welcome. Edgey's Manor is a Celtic Britain themed destination. 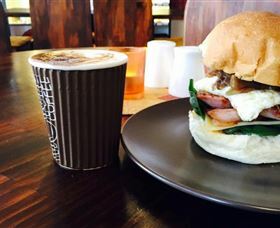 It offers visitors a relaxed atmosphere to dine-in for breakfast and lunch (takeaway available). In the spacious Great Hall, regular functions are held with a medieval banquet theme. Edgey's Manor also offer activities such as gentle exercise classes and historical games such as chess. There are fully accredited massage, beauty and natural therapists available at the venue. The gift shop offers a fantastic range of gifts and homewares from a variety of cultures. Edge of Tranquillity is located in historic Wingham, just three hours drive north of Sydney. Bent on Food Cookery School is all about the enjoyment of cooking and learning new skills, tips and chefs' secrets. 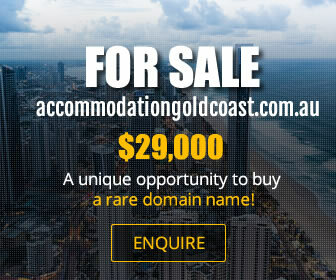 It is located just three and a half hours north of Sydney in the historical town of Wingham on the NSW Mid North Coast. Classes are held in a modern purpose built, air-conditioned school and involve both demonstration and hands-on activities. Class sizes are small and participants usually work in small groups. Why not organise your friends and join a class together ? Bent on Food Cookery School offers a wide variety of classes to suit everyone with weekday, evening and weekend classes. Vietnamese, Spanish, Seafood and ever popular cheese-making classes are regularly on the schedule. You will find all the latest details on the Bent on Food website. Special classes for private groups or community organisations can be arranged. Manning Valley Historical Society Museum and Archives is located in an historic building once used as a grocery and produce store, circa 1880. 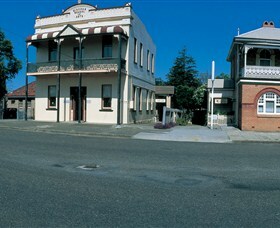 The museum overlooks Wingham Town Square (or Central Park) that is surrounded on four sides by heritage or historic buildings. Visitors to the museum are instantly captivated by the step back in time, demonstrating the differing lifestyles pioneers had and their tools/aids. On display are pioneer family portraits, old cedar furniture, lamp collections, scales, bottles, folk craft, clothing, fabrics, ironmongery, crockery, glassware, patent medicines and memorabilia related to our proud sporting achievements. At the rear of the Museum is Wingham's 19th Century police cell which housed Jimmy Governor (Blacksmith) following his capture and prior to his transportation to Sydney for trial and execution. Archive resources are also available. Researchers are in attendance on Tuesdays and Wednesdays from 10am to 4pm. 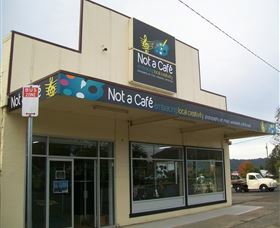 Not a Cafe is a beautiful shop in Wingham that sells all things local. It is Wingham's hub of creativity, assisting people to sell wares that have been made with love in the Manning Valley. It is where you will find local art, photography, books, toys, clothes, jewellery, soaps, woodwork, metalwork, craft and more! Not a Cafe also has a music room that has been designed to give local musicians somewhere to both sell their music and perform on a regular basis. The music room gives everyone, locals and visitors, the chance to browse through CDs and listen to music they're interested in via tablets/headphones. You're invited to come in and browse or spend time kicking back on the lounge taking in the arty surrounds or listen to the live music when it's happening. This self-guided Heritage walk around Wingham highlights a number of built and natural items significant to the history of the town. 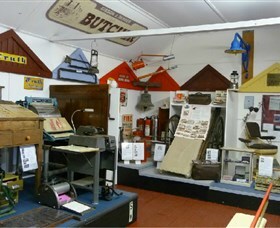 Wingham Museum is located along the walk. The full walk is approximately five kilometres long. 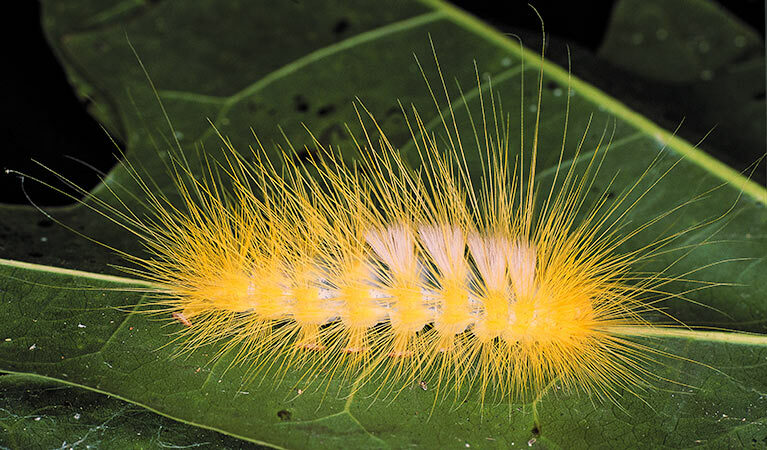 As a guide, it is recommended that to visit all the items of interest you allow about 2.5 hours, take drinking water with you, and wear comfortable shoes. You may also like to allow time to visit the many cafes and shops along the route or stop at the river for a picnic lunch. The heritage walk brochure is available at the Manning Valley Historical Museum in Farquhar Street, Wingham and the Manning Valley Visitor Information Centre on Manning River Drive, Taree.